Dr. Nishant Kumar: Thanks a lot. I think, goal oriented hard work, ability to stay motivated & guidance from the DAMS classes did the wonders. Dr. Nishant Kumar: without the immense support of my parents, family & friends, it would not had been possible to achieve it. At low times, my friends, dr. rajeev & dr. vivek ranjan, helped me to keep my spirits high, by their motivating talks. Dr. Nishant Kumar: It was my parents wish to see me as a doctor and personally, I too have a keen interest in medicine. So it’s a combined decision i must say. Dr. Nishant Kumar: One may feel low at times, while preparing for such exam, owing to the amount of syllabus to be covered in a short span, and the thought of the extreme competition. At such times, i used to take some time off from studies & the listen music, or talk to my friends. Dr. Varun Bansal: During my mbbs days, I read the standard textbooks that everybody follows. Additionally, i followed kartzung, along with KDT. I started doing MQ books in internship. Dr. Nishant Kumar: For AIIMS exam, AA & MK books are indispensable. I read Dr. Sumer Sethi’s radiology, which is not only useful for radiology but helped in tackling questions of other subjects too. For others i did across. Dr. Nishant Kumar: My Alma Mater, JIPMER gave me the basics of medical sciences & DAMS beautifully reinforced & added the extra amount of information & concepts that is required for PGMEE. Getting the rant what i got was unimaginable without all those hours i spent in DAMS classes. Dr. Nishant Kumar: I mainly followed selective study but i went extensive for few selective chapters like hematology, kidney & cns. Some topics like electrocochleography, congenital cystic diseases of kidney & neoplasia, I read in full details. Dr. Nishant Kumar: Given the uncertainty that lingers even after a good preparation, its better to go for multiple exams. But as the pattern of questions asked in different exams have become completely different lately, one need to strike a balance while preparing. DAMS class notes are very helpful in such case, as it’s an amalgamation, which covers all the patterns. Dr. Nishant Kumar: As in AIIMS exam, ophthalmology questions used to be notoriously difficult, so i concentrated most on it. Then, I concentrated more on medicine also (especially hematology), as it makes their major bulk of question paper in exam. Dr. Nishant Kumar: I attempted 190 questions in AIIMS exam. I tried not to attempt data based questions, unless i m completely sure of the answer. Dr. Nishant Kumar: I would like to go for ophthalmology. AIIMS is obliviously the natural choice, as it is the apex centre for ophthalmology. Dr. Nishant Kumar: Every teacher in DAMS is proficient in their respective subjects. Thanks to Dr. Sumer Sethi for bringing such a wonderful brigade of “alchemists” under one roof. I would definitely recommend my juniors to join DAMS, with a word to have a trust in this institution & its excellence, & to work hard as much the teachers here do for us. Dr. Shantanu Kumar Gupta: Just concentrate on basics, a bit of luck and the most important GOD'S grace. I wish god is kind enough to me in the upcoming exams and counseling. Dr. Shantanu Kumar Gupta: Parents were throughout supportive at every stage and a wonderful bunch of friends are always good to study with. Dr. Shantanu Kumar Gupta: My Dad and my other family members in this field. Dr. Shantanu Kumar Gupta: Obviously such periods are bound to come, so just be positive and face the challenge. Dr. Shantanu Kumar Gupta: Just the very basic book every MBBS student studies. Dr. Shantanu Kumar Gupta: Selective and just basic concepts. Dr. Shantanu Kumar Gupta: Its always better to appear for multiple exams because each day your luck varies. 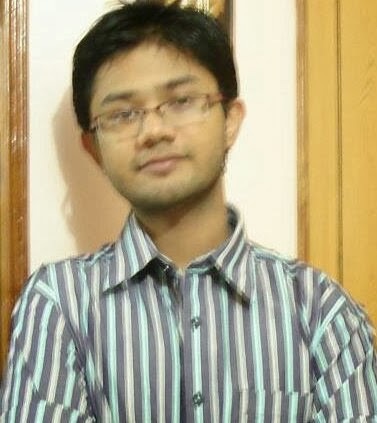 Dr. Shantanu Kumar Gupta: 2nd year and short subjects. Dr. Shantanu Kumar Gupta: Just give the exam with an open mind and don’t panic. I attempted 197 but I think I over attempted but around 180-190 is a descent attempt. Dr. Shantanu Kumar Gupta: I want to specialize in Ophthalmology just like my dad. But in the end it all depends on what rank you get and how much you compromise. Dr. Shantanu Kumar Gupta: I was an online test series student. Just trust yourself and study hard and be clear about what you are studying, and how much can you reproduce what you are studying. your success in this exam? Dr. Varun Bansal: First of all, Blessings of GOD, my parents, teachers and lastly consistency, dedication, hard work. Dr. Varun Bansal: My success was incomplete without their support. My parents were there with me at every moment and constantly motivated me. Special Thanks to my friends Dr. Sumit and Dr. Krishna. Dr. Varun Bansal: I was influenced by my mamaji who is orthopedician and mamiji who is gynaecologist. Dr. Varun Bansal: Sometimes, because numbers of competitors are so many and seats so less. Dr.Varun Bansal: AA AIIMS since 2000, MK since 2000, AAA MCQ, Across Vol. 1, 2. Individual subject wise MCQ books are sufficient. Dr. Varun Bansal: DAMS internet test software is very much similar to the AIIMS online test pattern, so by practicing such tests, there was no difficulty during the actual exam. Also the subject wise distribution of question was appropriate so that i could know, in which subjects I am weak. Dr. Varun Bansal: Extensive study during the MBBS time and then selective study with more focus on the topics asked in the recent papers during the preparation. Dr. Varun Bansal: All the hard work done by student for so much time is decided by the performance shown in the just 3 hours, so if something goes wrong during this time, then it’s all gone. Multiple exams are advantageous in this regard that he can perform better in the other test, if first one goes wrong. Dr. Varun Bansal: I specifically focussed on the often neglected small subjects: Anaesthesia, psychiatry, skin, biochemistry, radiology, eye more, although all subjects are equally important. Dr. Varun Bansal: Be cool! Give your best and leave the rest on God. I attempted 195 questions out of 200. I attempted the question even if I could rule out 2 options. Dr. Varun Bansal: I would like to join General Surgery at AIIMS. 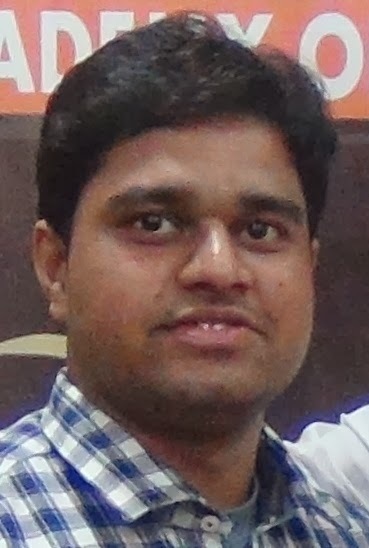 Dr. Varun Bansal: I joined the Internet tests series. So first make a strategy and stick to it, work hard, believe in yourself, and go on till your goal is achieved. Dr. Rahul Rajeev: Hard work, Support from friends and family and some luck. Dr. Rahul Rajeev: My medicine teacher in college Dr. Ranjit Sanu Watson. Dr. Rahul Rajeev: A good friends circle helped in reducing the exam pressure. Dr. Rahul Rajeev: I mainly relied on mcq books..did not get time to read standard text books. Dr. Rahul Rajeev: I read MK for medicine and across for all other subjects. Dr. Rahul Rajeev: The mock tests conducted by DAMS were very useful. Dr. Rahul Rajeev: I didn’t do exhaustive study. Focussed on important and often repeated topics. Dr. Rahul Rajeev: Multiple Pg exams are good as it gives you chance to correct your mistakes and prepare for next. But multiple day pattern with psychometric analysis for all india exam is unfair. 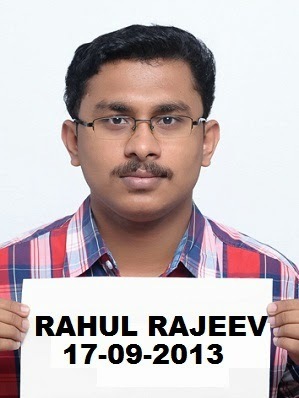 Dr. Rahul Rajeev: Medicine, Spm. 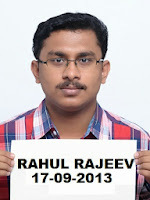 Dr. Rahul Rajeev: Didn’t have a fixed plan..
Dr. Rahul Rajeev: General Medicine. Dr. Rahul Rajeev: Dr Sumer Sethi sir, OBG mam, Opthal sir…They kept the DAMS exclusive club very active and informative. Dr. Laxmi Tuli: I have always followed the quote ‘GENIUS IS THE ONE WHO DOES CONTINUOUS EFFORT’. I just did continuous effort and the result is here. Dr. Laxmi Tuli: By god’s grace i have succeeded and family friends have been pillars in my tough times whenever I doubted my abilities. Dr. Laxmi Tuli: My parents. 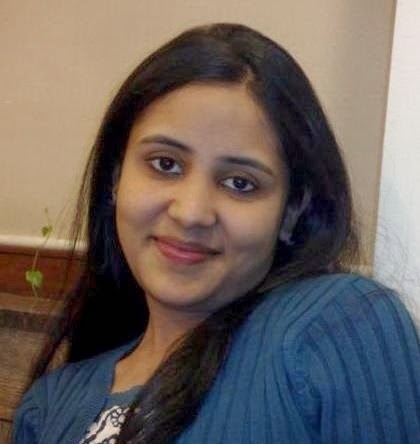 Dr. Laxmi Tuli: Many a times I doubted myself but my parents, friend’s positive approach and continuous back up by Dr. Sumer Sethi on DAMS Club helped me a lot. Dr. Laxmi Tuli: All standard textbooks. Dr. Laxmi Tuli: DAMS notes, across. Most productive were micro, patho, pharma, surgery & most imp were DAMS NOTES WHICH I REVISED MULTIPLE TIMES. Dr. Rahul Rajeev: DAMS faculty is adorable especially Dr. Sumer Sethi, ENT sir, Pades sir, Anatomy sir, Biochem mam, Psychy sir, Surgery sir, Pharma sir. I can’t express my gratitude towards you people. Dr. Laxmi Tuli: Convert wide extensive study material to a selective one by making notes and revise it intensively. Dr. Laxmi Tuli: It gives students chance to get selected in one or the other exam depending how your day is. Dr. Laxmi Tuli: Anatomy, Physio, Biochem, Micro, Pharma, Anaesthesia, Patho. Dr. Laxmi Tuli: I attempted 199 ques in AIIMS. One has to make intelligent guesses to get a got rank in such an institute. Whichever ques comes on the screen do not panic think calmly and go for it. 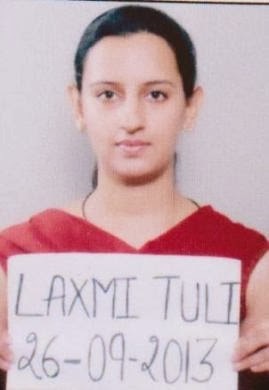 Dr. Laxmi Tuli: Paediatrics or Opthal from AIIMS. Dr. Laxmi Tuli: DAMS is really an institute of excellence. It helped me how to be concise in not waste my precious time on unnecessary stuff. Dr. Sumer Sethi, ENT, Pharma, Biochem, Surgery, Anatomy all is excellent. Everyone should join it without any second thought. It has been wonderful to get associated with Dams Amritsar. After the lecture just come back home and revise the things then only. More revisions are required at regular intervals; this is the only ‘success mantra’. All the faculty members who came here to teach were highly experienced n knowledgeable. Thank u DAMS this rank wont have been possible without you.